Consumers pay for electricity twice: once through monthly electricity bills and a second time through taxes that finance subsidies for inefficient wind and other energy producers. Over the past 35 years, wind energy – which supplied just 4.4 percent of U.S. electricity in 2014 – has received $30 billion in federal subsidies and grants. 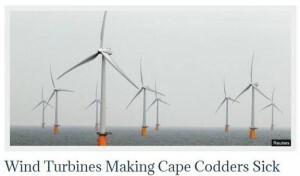 These subsidies shield people from the uncomfortable truth of just how much wind power actually costs and transfer money from average taxpayers to wealthy wind farm owners, many of which are units of foreign companies. – Capital costs ranged from $48 to $88 per megawatt-hour, while O&M costs ranged from $9.80 to $21 per megawatt-hour. – Since we cannot ensure the wind always blows, or how strongly, coal and natural gas plants must be kept on as backup to compensate when the wind is calm. This is known as baseload cycling, and its cost ranges from $2 to $23 per megawatt-hour. – The cost of building new transmission lines ranges from $15 to $27 per megawatt-hour. – Federal and state policies add an average of $23 per megawatt-hour to the cost of wind power. The best estimate available for the total cost of wind power is $149 per megawatt-hour. The high costs of federal subsidies and state mandates for wind power have not paid off for the American public. According to the Mercatus Center at George Mason University, wind energy receives a higher percentage of federal subsidies than any other type of energy while generating a very small percentage of the nation’s electricity. In 2010, the wind energy sector received 42 percent of total federal subsidies while producing only 2 percent of the nation’s total electricity. By comparison, coal receives 10 percent of all subsidies and generates 45 percent and nuclear is about even at about 20 percent.